Get great tips from the best yearbook experts in one of our new free eBooks. Let’s Have Some Fun. The Yearbook is Done! Our new eBook, Sooo... How am I supposed to grade a yearbook class?, can help. 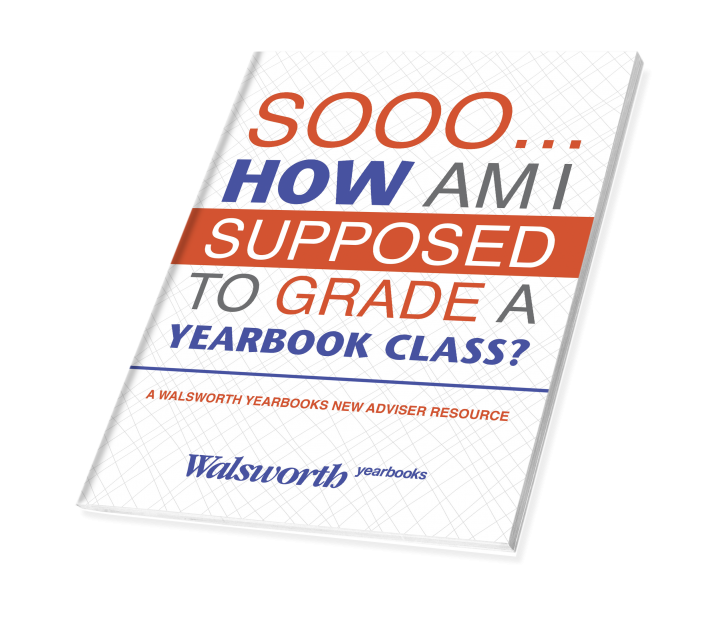 Walsworth Yearbooks gathered information from four yearbook advisers who found grading success using four very different methods. They share the grading wisdom and insights they've gained through many years of experience. Download your copy of Sooo... How am I supposed to grade a yearbook class? here. He’s more than just a big personality – Walsworth's Mike Taylor, CJE, knows yearbook. He has been in the business for decades. Taylor’s the guy who takes the lead at workshops, in critique sessions with yearbook staffs and on webinars. For his latest project, Taylor has funneled some of his vast yearbook knowledge into an eBook. Mike Taylor’s Back-to-school Checklist for New Advisers walks first-time advisers through their summer to-do list, step by step. 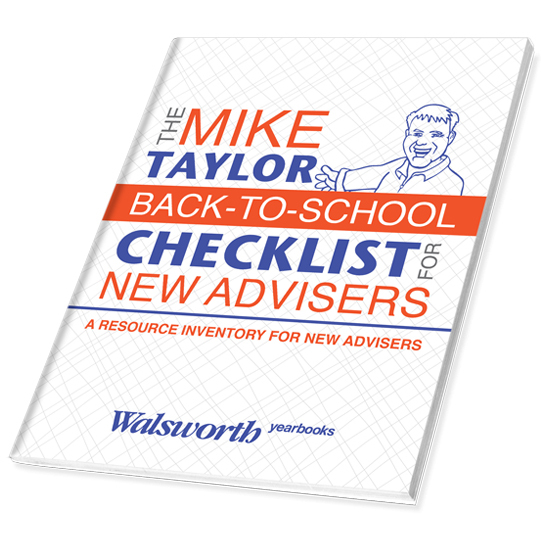 Download your copy of The Mike Taylor Back-to-school Checklist for New Advisers here. The job of a new yearbook adviser is a unique challenge, unlike any other in a school. 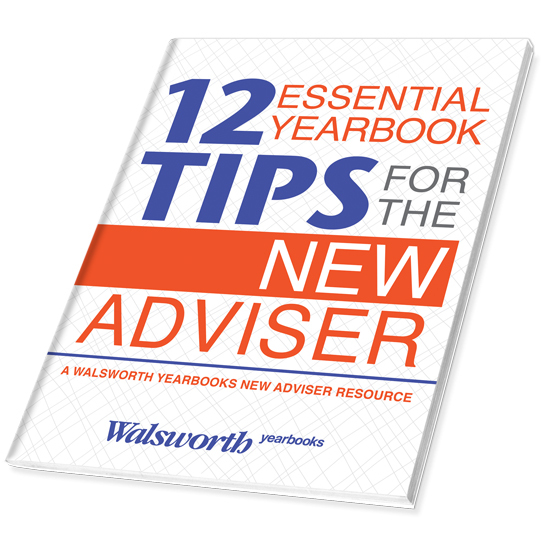 Walsworth created the eBook 12 Essential Yearbook Tips for the New Adviser with the hopes of making the transition into the job a little easier. 12 Essential Yearbook Tips covers a wide range of topics, including building a relationship with school administration, understanding the financial aspects of yearbook and training your staff. Download your copy of 12 Essential Tips here. 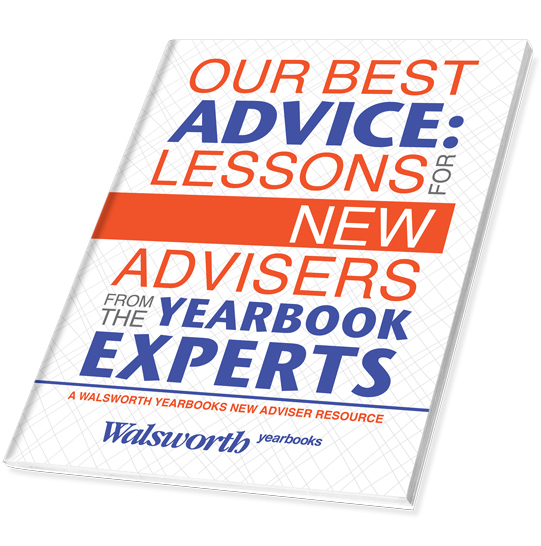 Created for new yearbook advisers, but also applicable to those who have been on the job for several years, Our Best Advice: Lessons for New Advisers from the Yearbook Experts covers everything from developing a core philosophy to staff management to grading, setting editorial policies and much more, and it does so in an easy-to-digest format. Download your copy of Our Best Advice here. Developing a theme is one of the most important jobs a yearbook staff takes on during the yearbook creation process. Coming up with an idea that will tie their coverage and year together can be a challenge. The Big Book of Theme Ideas will help your staff as a source of ideas and inspiration. Get your brainstorming sessions started with the list of themes provided in this book. 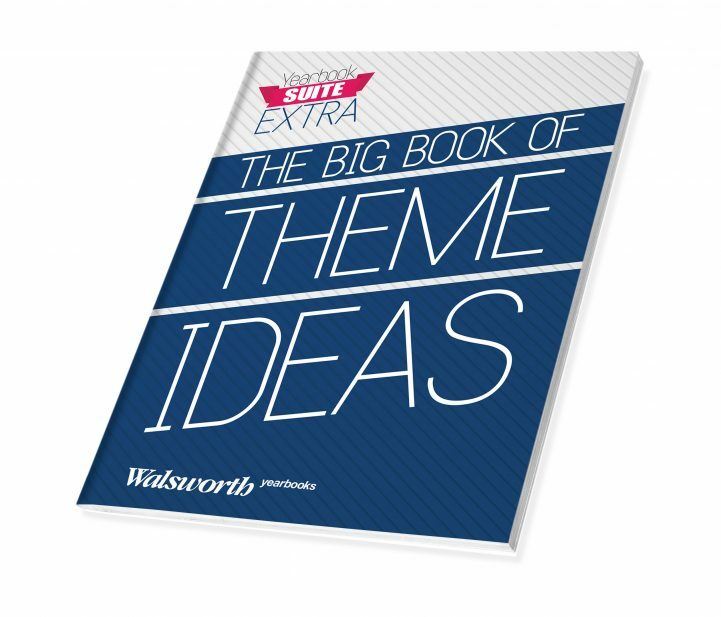 Download your copy of The Big Book of Theme Ideas today. Photos are the most-seen element of any yearbook, which makes the blocks of text that accompany them – the captions – essentially the most important text written in the book. 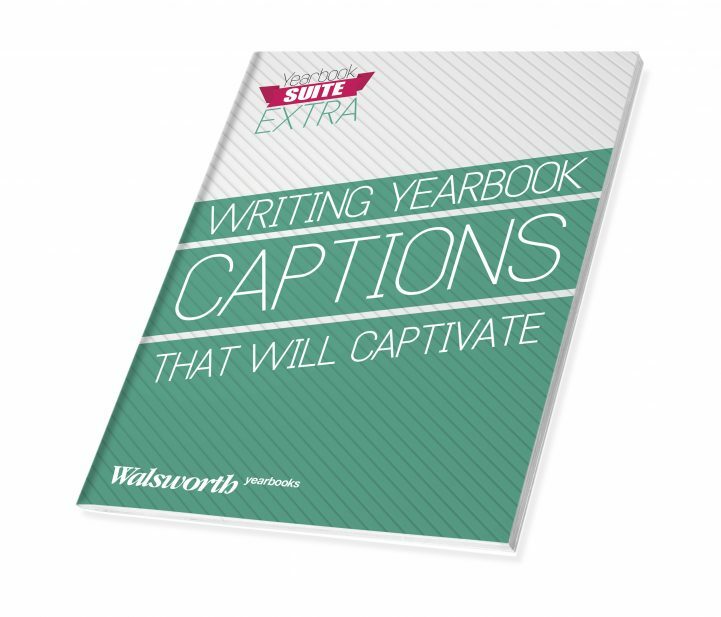 Walsworth's eBook Writing Yearbook Captions That Will Captivate covers the formulas and techniques that will help your yearbook staff write more meaningful, informative captions. Download your copy of Writing Yearbook Captions That Will Captivate today. Beautiful, eye-catching photos are what makes a yearbook. Many students, teachers and parents will flip through the yearbook and notice the pictures before they read the copy. In 100+ Great Yearbook Photos That Captured Our Attention and Why, Walsworth Yearbooks will show you a collection of some of our favorite yearbook photos. Take a look at the amazing images, along with reading what we thought made them stand out. 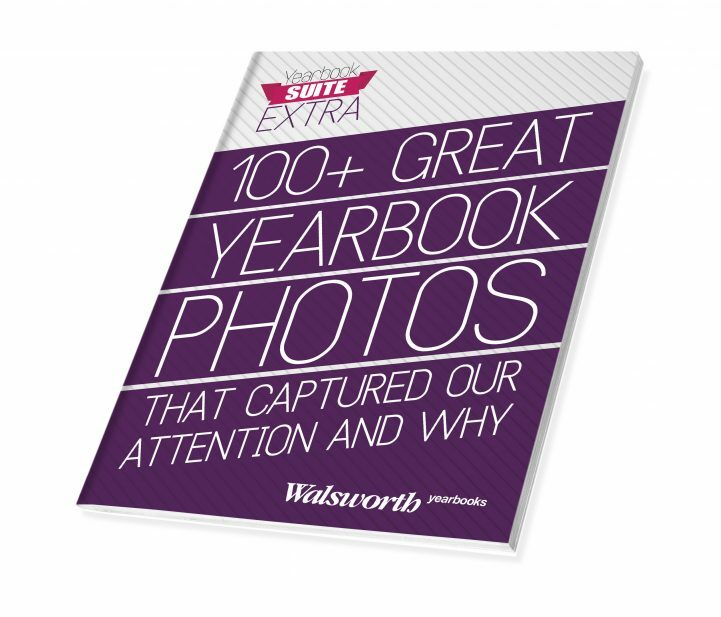 Download your copy of 100+ Great Yearbook Photos today. Walsworth Yearbooks has developed a plan that will help get the year off to a strong start with the First 30 Days lesson plans, based off our Yearbook Suite curriculum and other educational materials. The Online Design version refers to posts on yearbookhelp.com that will allow students to become familiar with the online creation tool. 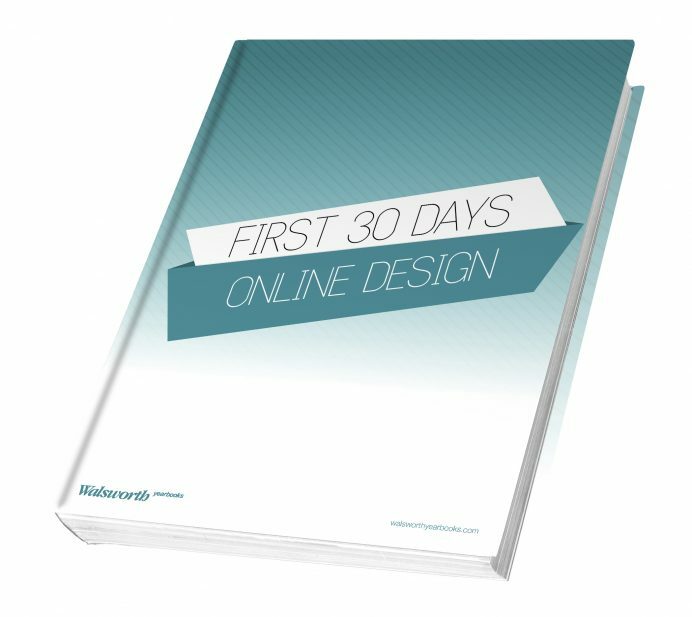 Download your copy of First 30 Days - Online Design here. The InDesign version refers to entries in Walsworth's Using InDesign manual and posts on yearbookhelp.com that will allow students to become familiar with the software. Download your copy of First 30 Days - InDesign here. After all their hard work, your yearbook staff deserves a year-end celebration to recognize all the effort that has gone in to creating this year's edition. In Let's Have Some Fun. The Book is Done!, you will find ideas for everything from the type of party that will work for your staff, who should be on the guest list, the best venue and much more. Download your copy of Let's Have Some Fun. The Book is Done! today. You hit final deadline and your yearbook is done. Hooray! But there is still several weeks of school left. Now what? In Jim Jordan's 40 Things to do After the Yearbook is Done, Walsworth Yearbooks Special Consultant Jim Jordan relies on his 35 years of experience as an award-winning yearbook adviser to deliver ideas for projects and activities that will keep your staff busy and productive to finish out the year. 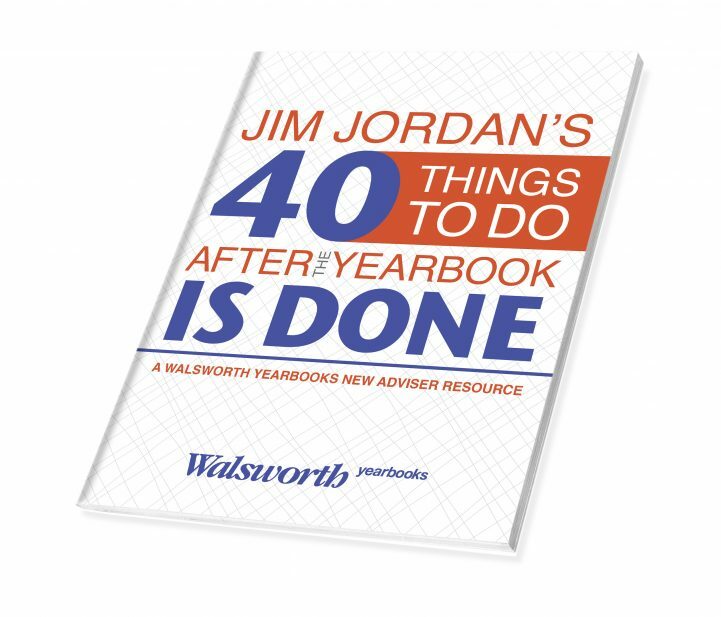 Download your copy of Jim Jordan's 40 Things to do After the Yearbook is Done today. Your staff puts in hard work all year to produce the yearbook. By the time you make it to distribution day, it should be a day of celebration. 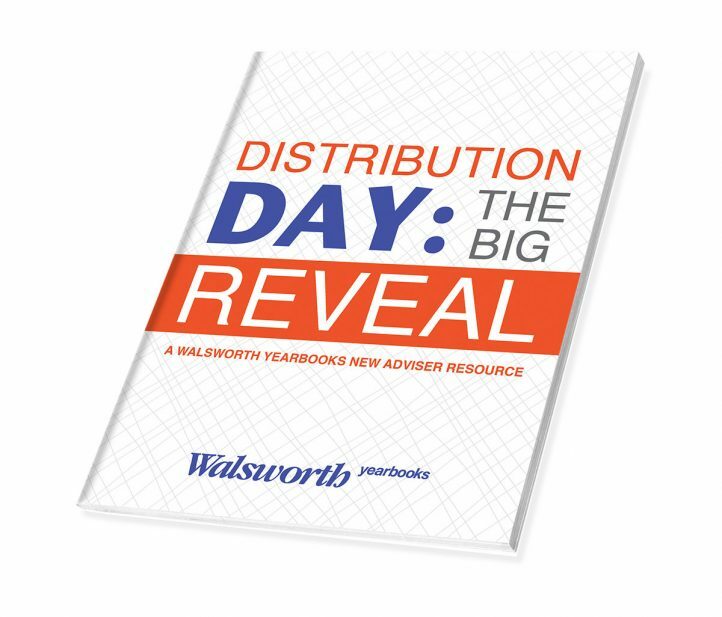 In Distribution Day: The Big Reveal, Walsworth Yearbooks will help you plan a smooth distribution day event. Get tips from yearbook advisers who have been through it before, and review all the dos and don'ts of distribution day. Download your copy of Distribution Day: The Big Reveal today. Have you stopped lately to ask why you love yearbooks? We asked yearbook advisers all over the country that question and we were amazed by the responses. 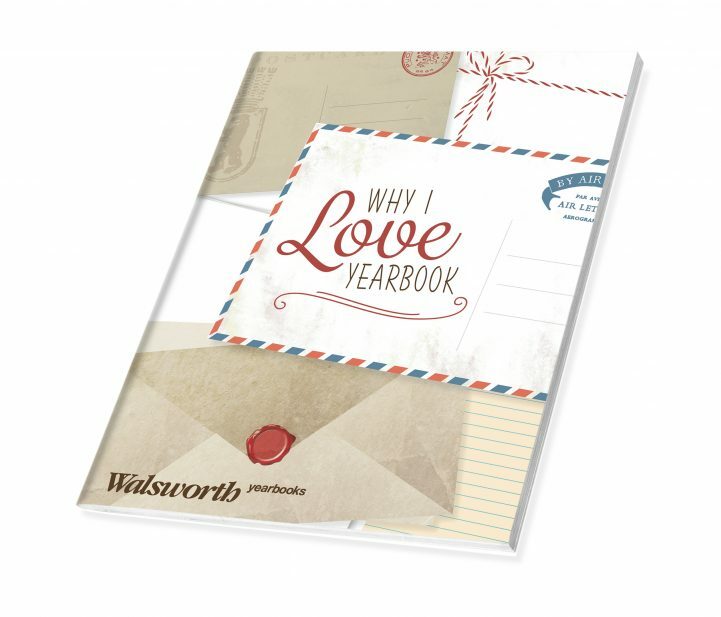 Walsworth compiled some of the most thoughtful, heartfelt responses into the eBook Why I Love Yearbook. We hope you can use them as inspiration. Download your copy of Why I Love Yearbook today. Yearbook recruiting should be an ongoing, yearlong effort. You should always be looking for students who could do well on your staff. 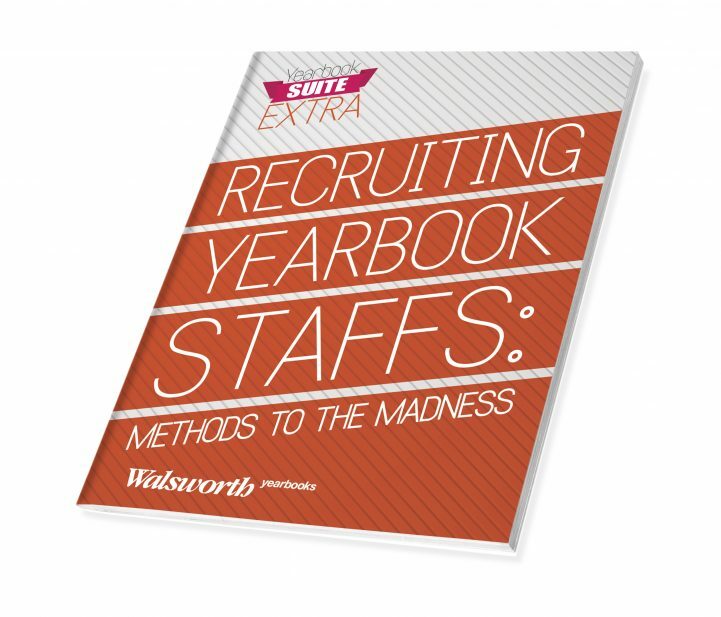 Walsworth's eBook Recruiting Yearbook Staffs: Methods to the Madness provides you a guide to use while planning your recruiting campaign, including outlining the processes you should use. Download your copy of Recruiting Yearbook Staffs: Methods to the Madness today. Marketing and selling your yearbook is important, which is why you can never have too many great ideas for boosting sales. 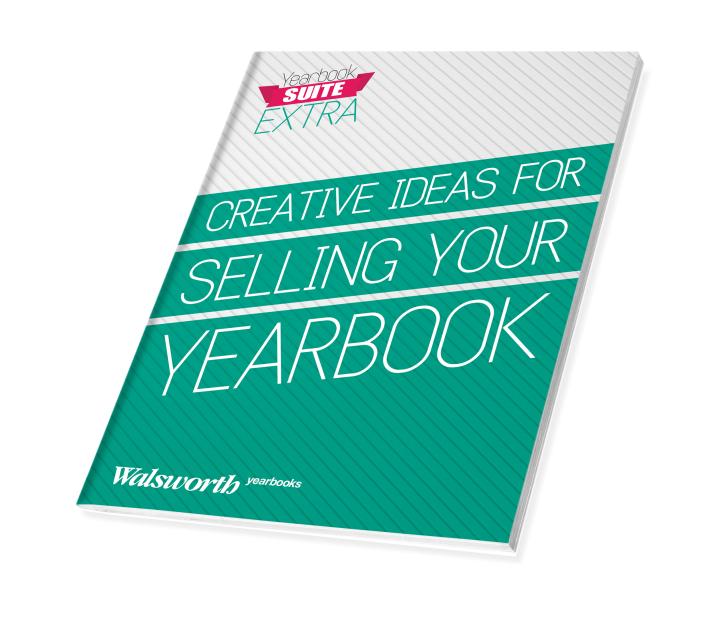 Walsworth's eBook Creative Ideas for Selling Your Yearbook offers loads of marketing ideas that schools have already used to generate excitement about yearbook and promote their sales. Download your copy of Creative Ideas for Selling Your Yearbook today. In the eBook Media Law and Ethics for Yearbook Journalists, Walsworth Yearbooks covers copyright, libel, privacy and other legal topics your yearbook staff will need to understand. Download your copy of Media Law and Ethics today. Your yearbook staffers might not even realize it, but many of them are walking around every day with a state-of-the-art digital camera right in their pocket - their smartphones. In the eBook Using Your Smartphone to Capture Great Photos, learn how your staff can start using their smartphones and a few simple apps to take yearbook-quality pictures. Download your copy of Using Your Smartphone today. How much does your staff think about the colors you use on your yearbook pages? Plenty of thought should go into it, considering how much color can influence mood, evoke emotion and attract attention. Selecting Your Color Palette will teach your yearbook staff's design team everything they need to know about colors and how they work together, and will help them develop a plan for picking the right colors for your yearbook. Download your copy of Selecting Your Color Palette today. Advice is free, but it’s never cheap when it is given with care and received with enthusiasm. This is the purpose behind Walsworth’s eBook, Becoming a Mentor. We’re recruiting mentors for our Adviser Mentor Program. 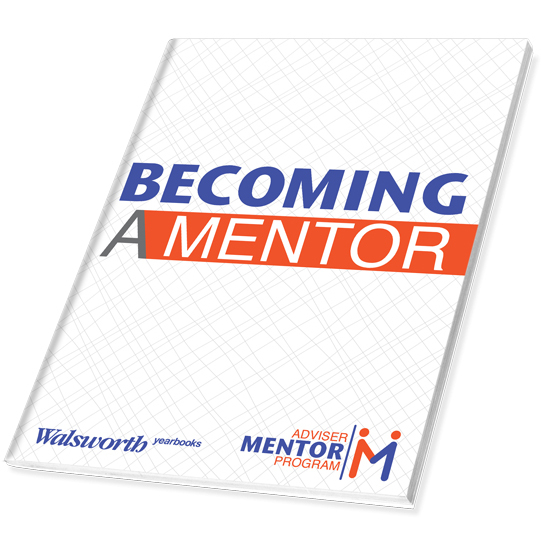 This may be intimidating, so Walsworth has put together a guide to walk you through a year of mentoring. Becoming a Mentor contains advice from long-time, award-winning yearbook adviser Jim Jordan. He’s been a yearbook adviser for more than 35 years, and he’s been helping fellow advisers for years. Download your copy of Becoming a Mentor here. Every school year, many administrators find themselves in a tough spot. They need a yearbook adviser for the upcoming year, but don’t know where to start. Walsworth is proud to provide an eBook for those who need some help. 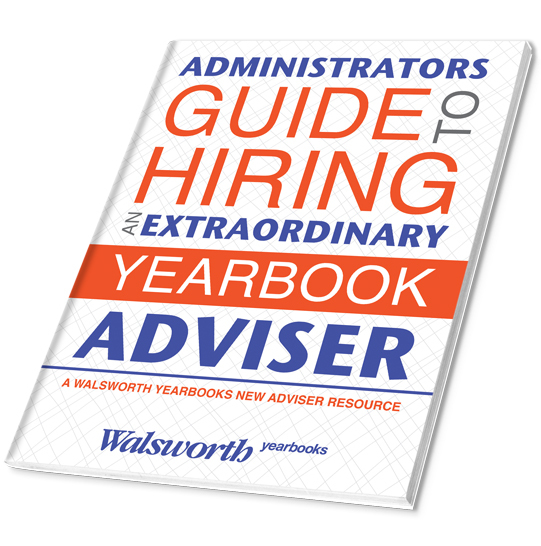 The Administrators Guide to Hiring an Extraordinary Yearbook Adviser details the characteristics to look for in a new adviser, from communication and bookkeeping to the way they handle stress. It’s a source to review when starting the search, and something to return to throughout the process. 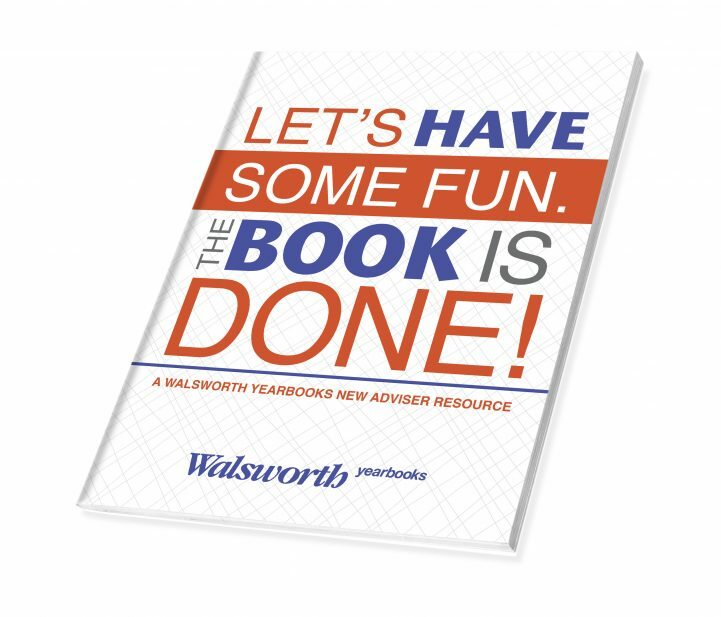 Download your copy of Walsworth's Administrators Guide here.